MY CALL: A flimsier story and a little less gore than the original, but still this is a worthy sequel with a smaller budget that was stretched as far as possible for our entertainment. 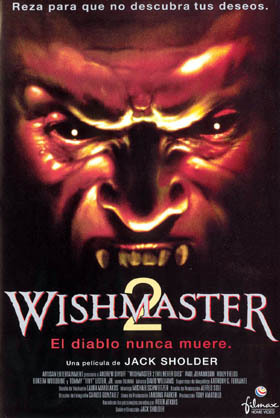 MORE MOVIES LIKE Wishmaster 2: Wishmaster (1997). 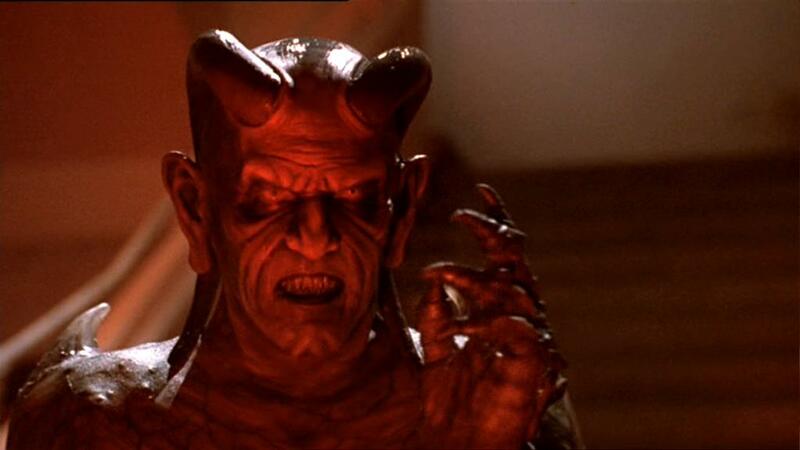 Our story beings with a robbery in the very museum where Wishmaster (1997) ends. During a shootout between museum security and some hooded bandits, the statue which entombed our favorite wish-twisting Djinn’s ruby prison is shot, loosening a chunk of stone and revealing the artifact. 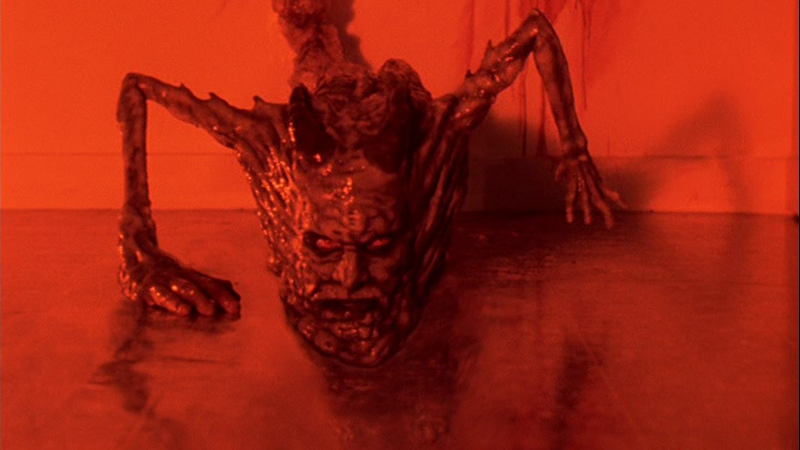 Honoring the Djinn’s gorily memorable emergence in the franchise opener, part two follows suit by having the museum wall apparently “give gory birth” to our horribly misshapen genie (Andrew Divoff; Lost, Wishmaster) from a gore-slathered stain turned bubbly mess. He’s slimy and distorted and he wastes no time before soliciting wishes to a dying thief…which apparently results in the Djinn’s resumption of his normal, tentacle-headed form. Now things get a little weird. 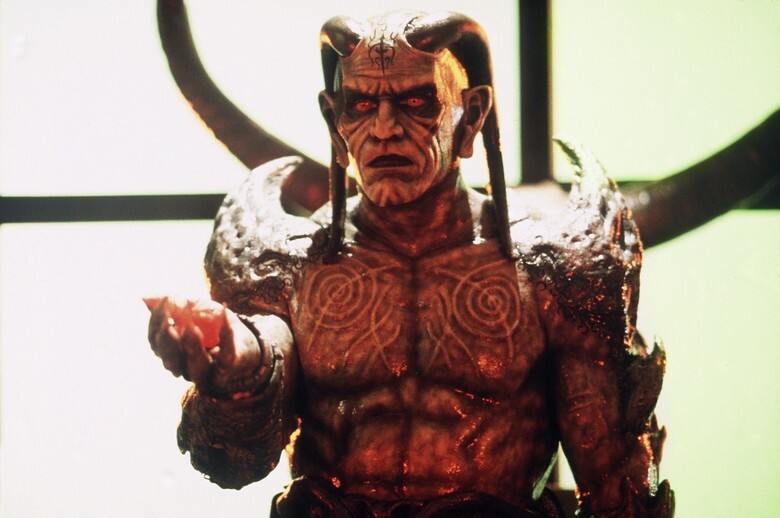 So the Djinn goes to prison after admitting to being a museum robber and Morgana (Holly Fields; Communion, Seed People), the thief who unearthed the Djinn’s ruby, gets away. 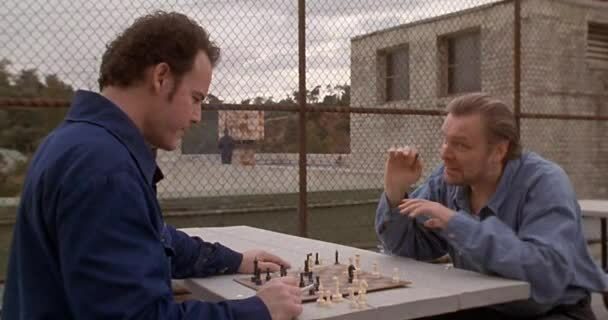 As the Djinn (in Andrew Divoff’s form) engages in his Monkey Paw shenanigans while serving time, Morgana has sweaty dreams in her underwear as if they share some sort of psychic link. But why does the Djinn feel content to remain in prison? His powers are limited to granting wishes, I suppose, so maybe he can’t leave…I’m really not sure. Is it really easier to dupe people out of their souls in prison? He should go to an elementary school. He should have no problem getting kids to wish away their souls for no homework, ponies, cookies for dinner and the like. Despite how painfully slow and ineffective dial-up internet was in the 90s, Morgana somehow sleuths out what the Djinn is and what he wants. She realizes that she has to stop him! But why she’d want to stop him from killing a bunch of incarcerated felons is beyond me. He needs 1001 souls before he comes for Morgana’s. I say let him take a few more criminals out first. 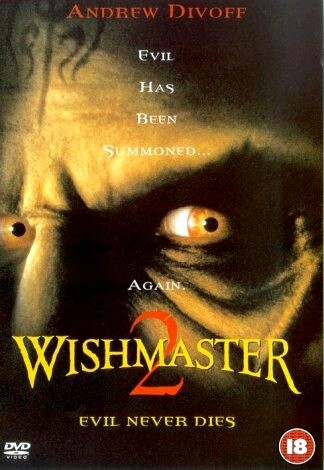 This sequel is helmed by the slightly more established director Jack Sholder (A Nightmare on Elm Street 2, The Hidden). With an uninspired plot, this sequel’s story is just as flimsy if not more so than the original and we enjoy a little less of the gore and the wide variety of effects presented in part one–perhaps a function of a lower budget (which was half that of the original and this is especially obvious in the final act). But you can tell they tried to do a lot with what little they had. I can appreciate that. 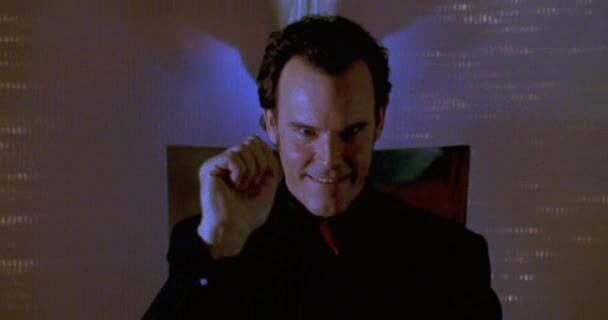 Replacing some of the gore is more acting…specifically, Andrew Divoff’s menacing performance. He’s awkward yet appropriate and over-the-top yet spot on given his supernatural, riddling role. He gets more screen time in this sequel, as well as more “horror humor” a la Freddy Krueger. 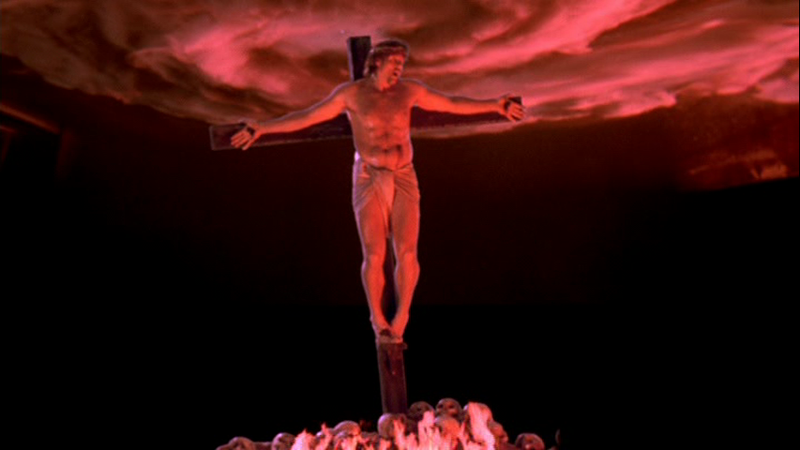 Andrew Divoff is great in this. 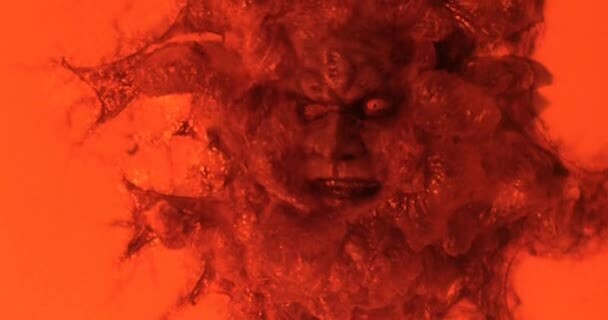 But make no mistake, he is no Robin Williams or Barbara Eden; this is not your mother’s genie movie. Somehow this wildly out-of-place, inappropriate imagery makes its way into the movie. Don’t ask. Despite having a flimsier story and a little less gore than the original, this is a worthy sequel with a smaller budget that was stretched as far as possible for our entertainment. ← John’s Horror Corner: Inside (2007), an extreme French film delivering an ultra-gory home birth.